It was stinking hot yesterday and 40C today, although a cool sea-breeze has just come in and made things bearable again. I’ve been in my hovel (as my husband calls my study, occasionally it’s the shanty), with the air-conditioning on, hunched over the computer keyboard and decided to do some artwork for a challenge I’m part of on Facebook – where we create art from images associated with the Mediterranean area. This month it’s tilework but, given the heat, I’m not able to get out and about to do a lot of photography so I decided to play with some images I have already. 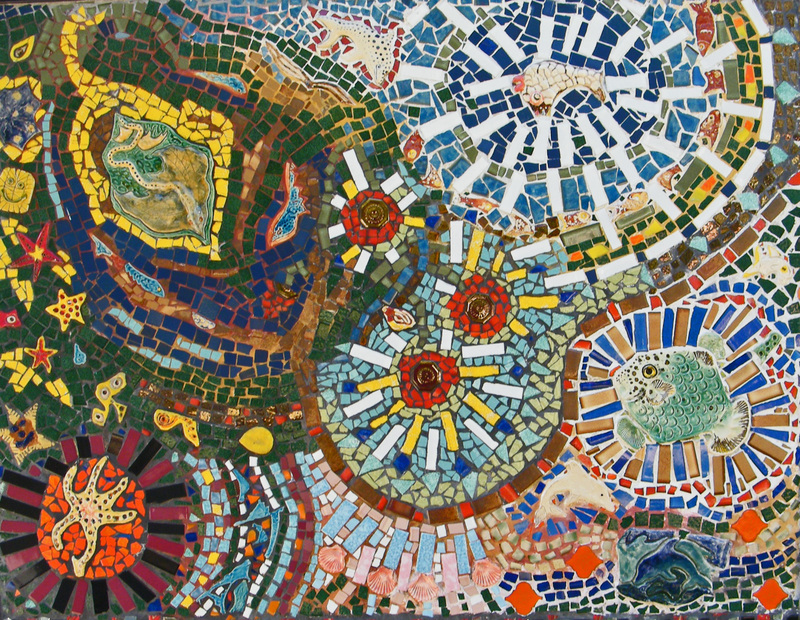 I firstly worked with a photo I took of mosaics in the communal area at Scottshead Beach. I used the Fractilius Redfield plug-in for Photoshop, plus some snazzy bits from a new gizmo I’ve found on Fotor.com. 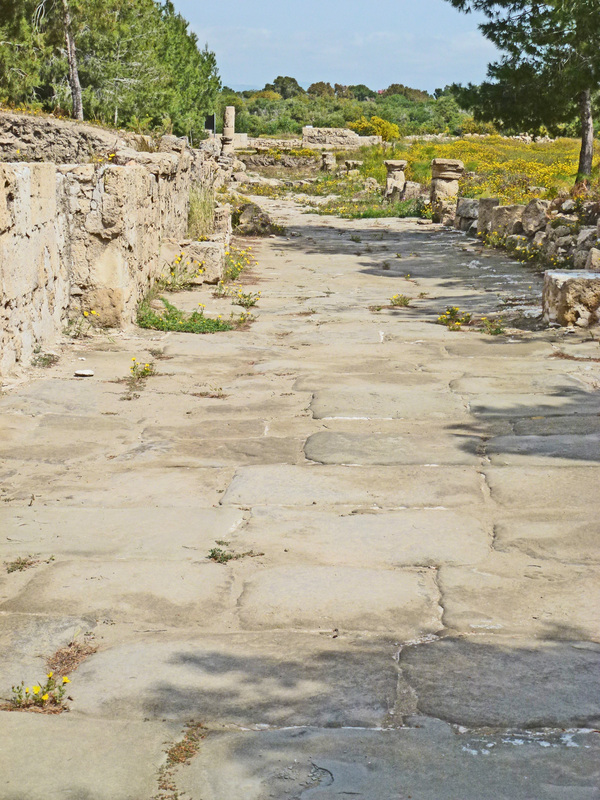 Then I fished out a photo I’d taken of a paved walkway at Salamis, a historic site on the south coast of North Cyprus, close to the historic port of Famagusta. 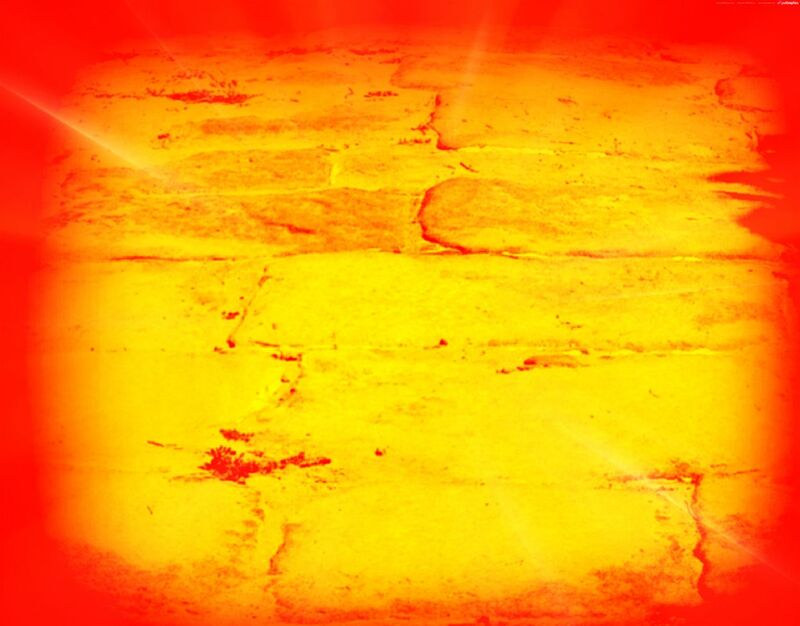 I created a close-up of the paving stones and then coloured it, to end up with a photo which reflects the heatwave we’re currently experiencing. It is, by the way, getting cooler tomorrow – “only” 37C! love the originals and love what you did with them, but I can’t appreciate youre heat because I can’t translate to F degrees.We, on the other hand, in the middle of August no less, are having a cool, no a/c, no humidity day (UNHEARD OF) and if I can get myself in gear I’m going to finish my top step mosaic. 40C is 104F, but it’s been really humid too. You always know here when it’s humid (apart from the fact that I feel it, I’m a walking barometer for humidity) because you can’t see the Besparmak Mountains which are only ten minutes away from us. There’s just a haze. Glad you like the artwork, Tammy, I’ve been enjoying your blog posts – got any way to respond to them? Thank you very much for your lovely comments, Zainy, really so appreciated. Take care. It’s an amazing place – unfortunately due to limited mobility I haven’t seen too much as it’s huge and spread out. 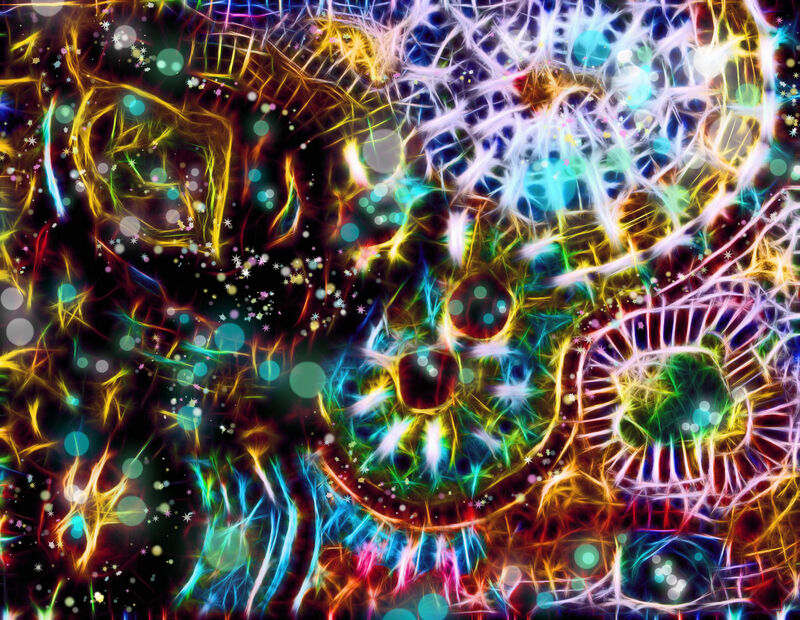 Very nice images! The paving stones image reminded me of walking on hot pavement barefooted. Yes, me too. I can’t walk on our hot patio as my feet get burned, which is why I liked the hot colours in the digital image.